BACKGROUND: Remarkable differences among European countries have been found in stroke rehabilitation models, owing to the fact that stroke rehabilitation services are embedded in health care systems. Comprehensive data on service utilization by stroke survivors in Italy are lacking, but would be instrumental in improving efficiency and effectiveness of post-acute stroke care, and consequently, in containing costs and improving outcomes. AIM: The purpose of the present study was to survey the Italian regional legislations in order to examine the provision of rehabilitation services for stroke survivors in Italy. DESIGN: This is a cross-sectional, observational study. SETTING: Post-stroke intra- and extra-hospital rehabilitation. POPULATION: All decrees and resolutions as to post-acute stroke rehabilitation were collected from each Italian region. METHOD: All decrees and resolutions were examined by the means of a check list including quantitative and qualitative characteristics, selected in accordance with national official recommendations. Each completed check list was then sent to each regional reference person, who filled in the section on the implementation of the indications and compliance. RESULTS: The study was carried out from November 2009 to September 2010. The documents were collected from 19 out of the 20 Italian regions. The results of the study indicate that there are many, remarkable regional variations in health policies concerning post-stroke care. Instruments for evaluation and criteria for allocating stroke patients to proper rehabilitation setting vary across regions, but data on the potential impact of these variations on clinical outcomes are still lacking. CONCLUSION: The study highlights the issue that, in Italy, delivery of post-stroke rehabilitation services is not uniform nation-wide and varies substantially across regions. The lack of a comprehensive post-acute stroke strategy is a major obstacle to service availability. 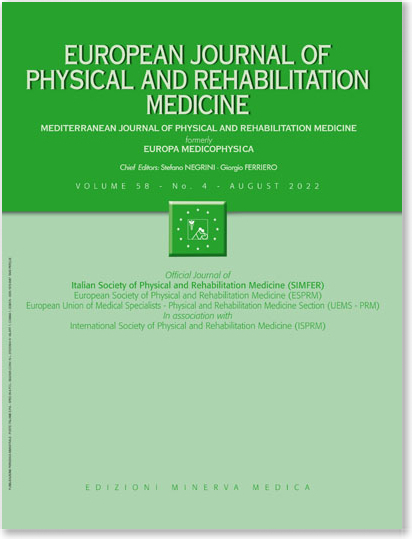 CLINICAL REHABILITATION IMPACT: The study results advocate the need for a consistent and comprehensive strategic planning of post-stroke rehabilitation in Italy.